I started my blog exactly nine years ago. At the time, the kid was a toddler, and the older kid was a teenager. Besides being a mom, I was also busy teaching at several community colleges in the area. To say that I was stretched thin would be an understatement. I started this blog as a way to make sure that I would focus enough on myself. I made changes to the way I eat, how I exercise and how I relieve stress. My blog has changed a lot over the years. And my life has changed a lot in the last nine years as well. I have found that when life is "easy," taking care of myself has become relatively easy. But when life gets difficult, it can be a struggle to remember to do so. And things haven't always been easy. In 2011, my dad was diagnosed with melanoma in his eye and underwent numerous experimental treatments that eventually were able to stop the cancer. Then my sister was diagnosed with, and underwent treatment for, breast cancer. My mom had both her knees replaced, one surgery resulting in permanent nerve damage. And on March 28, 2015, I got the phone call I had had premonitions about when my dad suffered a major stroke. A year later, my mom had to undergo treatment for breast cancer. Each event made me painfully aware of how far away I am from my loved ones. For months at a time, I got up at 3 a.m. so that I was able to talk to my family members as much as possible, took short (and long) trips to Germany whenever possible, and really often forgot about myself. But two "healthy living strategies" that I was introduced to via my blog have helped me a lot to get back on track. I took my first barre class in 2010 with my friend Lara. The class was free and held at a local Lulalemon store. We got invited to attend a free class at the studio after that, and we both loved the challenging workout. I have been taking barre classes ever since (although not as regularly as I would have liked to). Barre classes have helped tremendously with my low back pain, made me more flexible, stronger, and helped me stand taller. My husband keeps joking that I'm finally tall enough... And when I felt I hit an all time low last summer, getting back to regular barre classes was what got me back on track toward health and taking care of myself. Disclosure: I'm a Conscious Cleanse ambassador, and I will earn a commission if you sign up using one of my links. As always all opinions are my own, and I only recommend items and services I believe in. And the Conscious Cleanse changed my life in so many ways. The most obvious change is that I discovered my sensitivity to gluten and that alone was life changing as it not only eliminated painful digestive problems but also achy joints, brain fog, and headaches. But I also learned to listen to my body in general, take care of myself every day, be mindful, start the day in silence, and so much more. I also lost weight, but that truly wasn't the main focus at the time. However, I get back to good, whole foods and the principles I learned from doing the cleanse whenever I want to lose some weight. 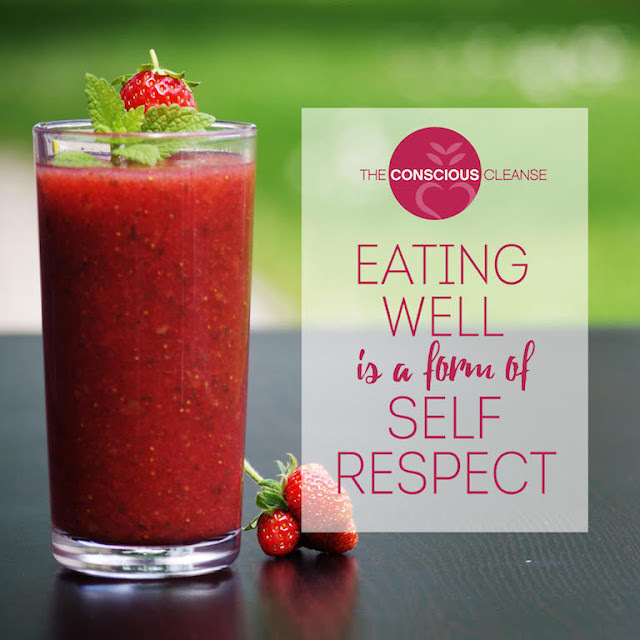 I have done the cleanse numerous times over the years (both on my own and with the support of a group), and I learn something new every time. The support of the online community, the daily emails and the availability of the coaches is truly priceless. I like that the cleanse provides plenty of recipes and eating plans if you want to follow one, but that there is also a great amount of flexibility. You add certain things into your diet (warm lemon water, green smoothies, lots and lots of greens) and take out others (gluten, dairy, sugar, alcohol, coffee, etc. ), but beyond that there is a lot of flexibility. As someone who "can't" follow a diet (or a recipe), that part really appealed to me. I have written many posts about the Conscious Cleanse on this blog. Check out my Conscious Cleanse page here if you are interest in more information. Or click here to sign up for the April 11 cleanse. Questions: What are some important events in your life journey? How about your health journey? Congratulations on your nine years of blogging Andrea. Blogging is above all else a journey of self discovery for us. I too was able to learn many things in my chosen interest of crafting and DIYing. May you always have health and happiness and continue to blog for many more years. Thanks so much, Mary! Yes, self discovery is really one of the best parts of blogging! And meeting other amazing bloggers like you! Andrea, congratulations on 9 years of blogging. And, more important, on 9 years of finding ways to take care of yourself while going through some pretty tough stuff! My health journey includes two things I've been doing for a couple years, this (http://www.delightfulrepast.com/2016/09/sugar-toxin-or-treat.html) and not eating after 6PM. And I recently decided to expand on that last one by not eating again until 10AM, 16 hours (16/8 intermittent fasting). None of these constitutes a "diet" or is so restrictive that I can't maintain it for a lifetime. Like you, a lot of my friends have been helped by going gluten-free, but gluten doesn't seem to bother me. Eating right is perhaps the single most important thing we do every day because it impacts everything else we do. Keep up the good work! Yes, eating right does affect everything! I also do some intermittent fasting and find it very helpful. Yay! Congratulations on blogging for nine years. It felt like yesterday that you started. What a journey. Thank you for sharing. The new look on your blog is so pretty! What soothing, warm colors. Dreamy. Congratulations on nine years blogging and for keeping an eye on your original focus for blogging and returning to that. I think you look especially amazing since really getting into your barre classes with both feet. I really, really want to try them! Now that I am officially out of the boot, at least for most of my day, maybe I can get started. Good luck on your cleanse. I know you will do well. Congratulations on nine years of blogging! I have read your blog for many of those years and remember some of the events you mention in this post. Great job staying focused on your health through it all! Congretulations! And let's not forget the , a sentence a day thing, that you do. I love to read those too! Thanks, Nancy! I'm really glad I started writing a sentence a day. It focuses me on each day, and looking back is really fun! Congratulations on 9 years! Ahh gluten. I miss bread. I discovered a problem with wheat last summer (though I don't think gluten, because barley is fine). Sigh. Good for you, Andrea...because life can really throw us punches at times. Thanks to you, I finally tried a barre class when I was visiting in LA. I have recently just found one near me, and my friend and I are going to try it next month!! How fun that you'll try barre near home! It's made such a positive impact in my life.